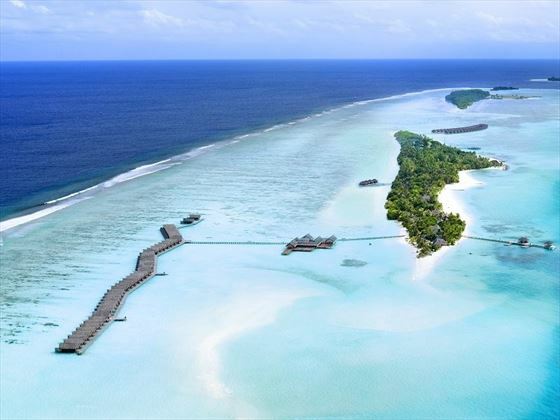 LUX* South Ari Atoll offers a true experience of luxury. Perfect for couples and families, you’ll enjoy the beautiful surroundings of soft white sand and transparent water at a fantastic price. You could spend all day just lounging on the sand, enjoy the relaxation you deserve. But if you grow restless, LUX* has plenty of activities to offer you too. Go deep sea fishing or scuba diving, if you’re feeling active. Alternatively there’s a spa if you’d just like to be pampered. 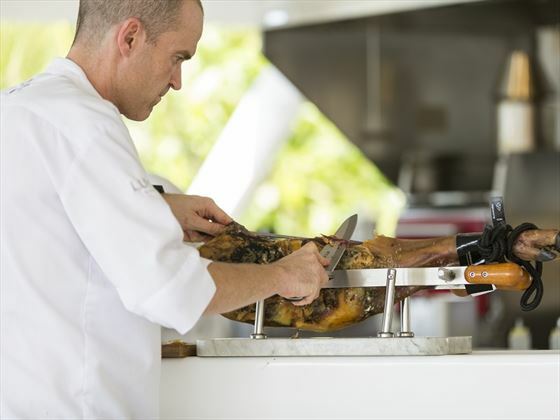 The LUX* has a huge array of dining options, ensuring you’ll never get bored with the food on offer. These include wood-fired pizzas, Indian Ocean delicacies and delicious sushi depending on where you go. 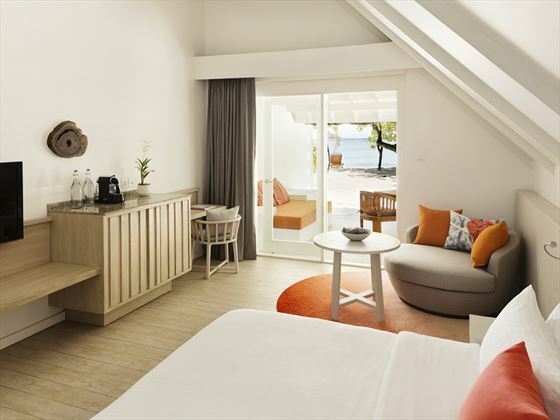 Unlike many luxury resorts, the LUX* South Ari Atoll caters very well for families with children. The PLAY kids club offers supervised fun for children, and the Studio 17 is for teenagers. Top Tip: For an island resort there is a very broad range of restaurants available. The Japanese restaurant Umami is especially good, but requires booking in advance. 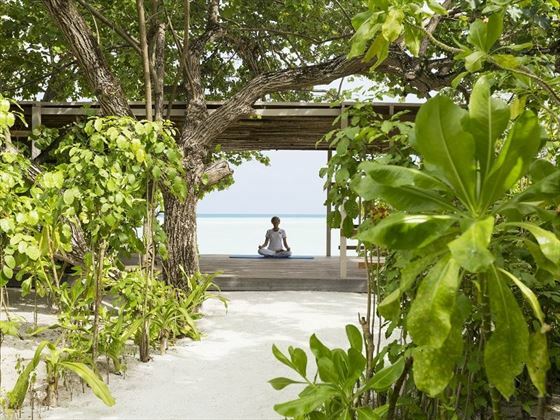 Further reading: LUX* South Ari Atoll, Maldives is featured in our guide to the top 10 luxury hotels in the Maldives and the top 10 spa hotels in the Indian Ocean. 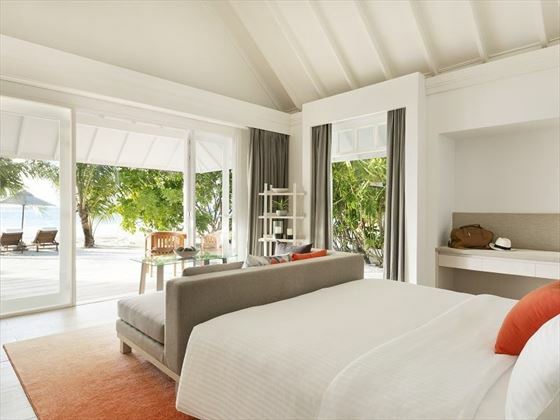 This stunning resort in located within the equally as beautiul South Ari Atol, nestled on the dazzling white sand beaches of Dhidhoofinolhu. With crystal-clear lagoons, lush tropical flora, and soft sugary sands, LUX* South Ari Atoll boasts an idyllic location and tranquil ambience. Water Villa – suspended on stilts over the water and offering spectacular views of the Indian Ocean, sleeps a maximum of three adults, or two adults and one child or teen. 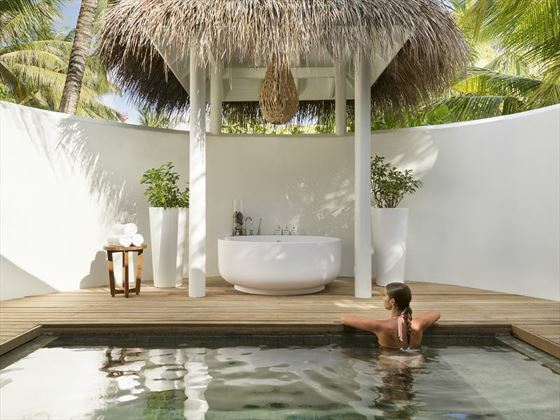 Temptation Pool Water Villa - ideal for couples, these romantic villas feature floor-to-ceiling windows, a veranda with a dining area and cabana, and a marble-white Jacuzzi. 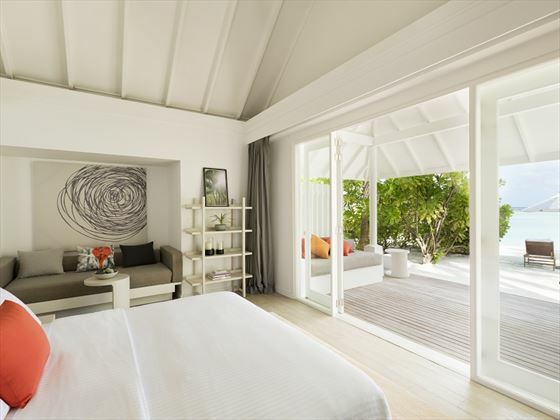 Beach Pool Villa – offering fantastic views over the lagoon and a private sunken swimming pool, sleeping a maximum of two adults and one teen or child. 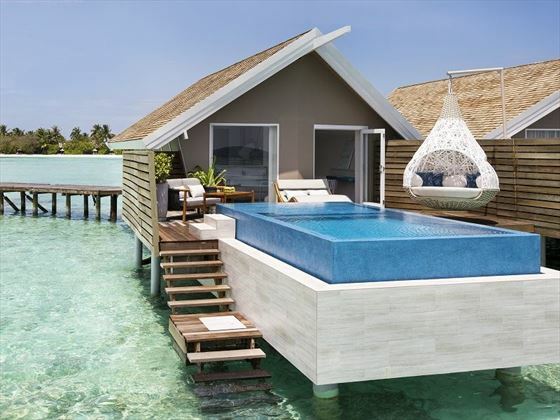 Romantic Pool Water Villa - suspended on stilts above the water, featuring a luxurious terrace with private swimming pool, a cute love nest overlooking the sea, and a home theatre system. LUX* Villa – very large villa based on the lagoon, offering an infinity plunge pool and a glass floor in the living room. You’ll also receive a 24-hour personal butler to cater to your needs. Sleeps a maximum of four adults, or two adults and two teens or children. 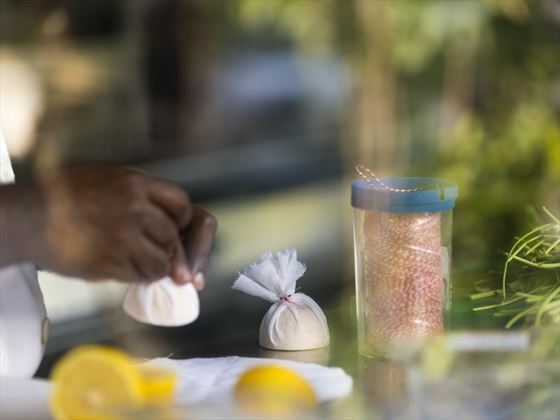 Senses – serving a la carte oriental cuisine with an Indian Ocean twist. *Please note for dinner, men should wear at least smart shorts with flip-flops; the dress code concept is Island Chic. Honeymooner's are required to provide a valid Wedding Certificate or copy at time of booking and check-in and must not exceed 12 months from marriage date. Wedding Anniversary couples are required to provide a valid Wedding Certificate or copy at time of booking and check-in. Anniversaries celebrated are 5th and onwards every 5 years. Dinner: A la carte at Senses and Allegria / Buffet at MIXE and East Market. Note: The hotel reserves the right to close up to two restaurants throughout the year. Drinks (in all restaurants and bars): A wide selection of beverages (soft drinks, tea, coffee, beers, wines, juices, mineral water,cocktails and liquors) as per the scheduled opening hours of the restaurants and bars. Each restaurant and bar has the “All Inclusive” beverage menus available, with full details of all choices included. Service (as per the hotel schedule): Beach service - poolside service - available at the Lagoon Bar and Senses beach only. Wellness (as per hotel schedule): Yoga & stretching classes, access to our sauna, steam room, plunge pool and spa garden (reservation mandatory subject to availability at the Spa - adults only). 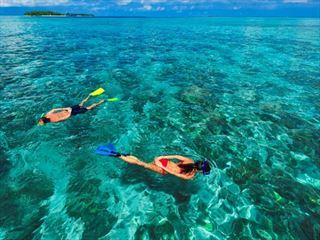 Water sports (as per hotel schedule): Daily use of snorkelling equipment, kayaks, pedal boat and scheduled snorkelling trips on house reef as per weather and tide conditions. Land activities (as per hotel schedule): Unlimited access to our gym, floodlit tennis courts (rackets provided - tennis balls with a fee), table tennis, bocce balls, beach-volley. Entertainment: Live music, Weekly Maldivian Cultural Performance and Free Wi-Fi connection. 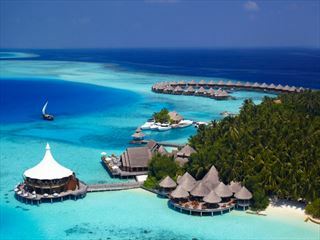 Taj Coral Reef Resort offers a relaxing hideaway with the comforts of a first class resort. Nestled in a stunning, natural setting, it is a perfect romantic resort offering tranquility and privacy. The island has its own house reef and shipwreck for diving enthusiasts to explore.